(Hours 1a,b,c,2a,c) Rich opened this morning’s show by informing the listeners about the tragic shooting that occurred at a country music concert in Las Vegas, Nevada last night. He shared his opinion about the political motives of the shooter and addressed the racial division that has been perpetuated by former administrations. Tune in to get all of the details! 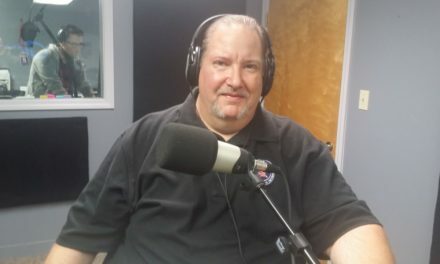 (Hour 1b) As Rich continued his coverage of the shooting he reminded his listeners about divisive tactics taken by the Obama Administration and wondered when the Left will become accountable. He then took a call from Eric in Manchester, who spoke about the gun that the shooter used. (Hour 1c) After discussing the absence of The Ins and Outs of Immigration anchor Eva Castillo-Turgeon, Rich addressed the Democratic Party’s hypocrisy in placing blames for former shootings. He then wondered about what would happen if the shooter was an illegal immigrant, a Muslim or a Black Lives Matter activist. Finally, he played a clip of the shooting, addressed prior racial incidents, and more! (Hour 2a) Rich shared a breaking news report concerning the shooter and played a press release from the Sheriff’s department in Las Vegas. He then took a call from retired officer Jim Gaudet, Anchor of the Public Safety This Week, who shared from his perspective about the shooting. They discussed motives, public safety, and more. Tune in to get the details! (Hour 2c) Rich shared more information about the identified shooter. He then spoke about diversity, opining about the criminalization of politically differences.